Elsewhere in this newsletter my wife notes that I read a lot, so one of the most intriguing things to me has been the advent of the Kindle single or Kindle short. If you are a reader you’ve read those novels where the author had 40 great pages, but it doesn’t expand to a novel, but they had to make it 180 pages to justify printing and a $20 hardcover price tag. The Kindle short is electronic, so no printing costs. And it is usually selectively published – either by the author themselves or by experimental publishers. So, it can be priced around that magic $1 range. When the tag is $20, buying something you know little about just doesn’t happen. At a buck, sure, what the hell. I stumbled across one the other day that is the deepest and most powerful meditation on sin, redemption, suffering and glory I’ve read in a long time and written in highly accessible language to boot. 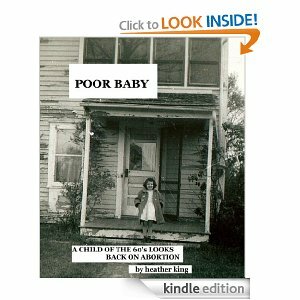 Poor Baby by Heather King is all of 28 pages. You will read it in one sitting, and not just because it is short. 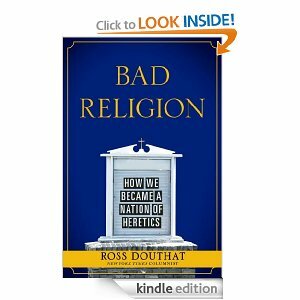 One other book dominating some mental cycles has been Ross Douthat’s Bad Religion. It is a sober examination of the decline of Christianity in America from roughly 1945. Its central thesis is American religion has been drowning in a sea of heresies. For some reason which Mr. Douthat does not really diagnose (he is a NYT columnist, and not a preacher), Americans have en masse chosen to chuck the orthodox faith and doctrine. His examination is spot on and can’t really be refuted. But he does not really venture in the project of why, or of what do we do, other than the logical conclusion of “turn back”. It is the combination of the two books that gives the larger picture. Mr. Douthat is speaking to the head. He lays out that compelling case of the results of decades of heresy and attempting to soften the faith’s proclamation of both law and gospel. But Ms. King speaks to the heart. Doctrines and even heresies are cold things. Even looking at the results writ large in society is unmoving. Individual lives have scars and consequences and wounds. Ms. King shows us some of hers. And she shows us the warm and beating side of doctrines lived or failed, of wresting with easy heresies and soft lies, of finding comfort in hard truth. At the end Poor Baby is itself an incarnation and an invitation. Come and see. Put your hands in these wounds. Stop disbelieving and believe. And contrary to orthodoxy’s cultured despisers, believing is the beginning of maturity. Believing is the beginning of actually seeing the wounds and not just wishing them away for the next sweet fix. In Christ, and in Christ alone, do we find wounds glorified.